Google has created a Go client for Stackdriver Trace, their free distributed tracing backend (that doesn’t require you use GCP for your apps either). A list of issues and quirks when attempting to program assembly in Go. 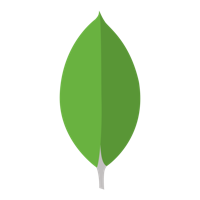 If you're looking for a easy way to run MongoDB in the cloud, try MongoDB Atlas (the hosted database service from the company who builds MongoDB) for automated provisioning, backups, upgrades, and monitoring. Russ Cox looks at the scalability of glob pattern matching and ways to avoid it becoming an expontential process. The Disqus commenting system has been criticized recently for loading lots of tracker pixels. Here’s a simple Go-based alternative. Focused on fast 2D graphics rendering and has a simple API. Comes with a few examples and a handful of tutorials to get started. Now supports HTTP/2 Server Push. A simple example using Go 1.8’s plugin system. An example of using the (likely) to-be dependency management standard in a project. A video in the Let’s Learn Algorithms series. The sixth installment in the series, found here. See if your project is following Uncle Bob’s Clean Architecture rules. Easily push events to a browser, such as for monitoring dashboards or tailing logs. Connects Go with the HTML, JS and CSS-based Electron toolkit. An interesting idea that runs the C version of SQLite in a pure Go sandboxed VM.